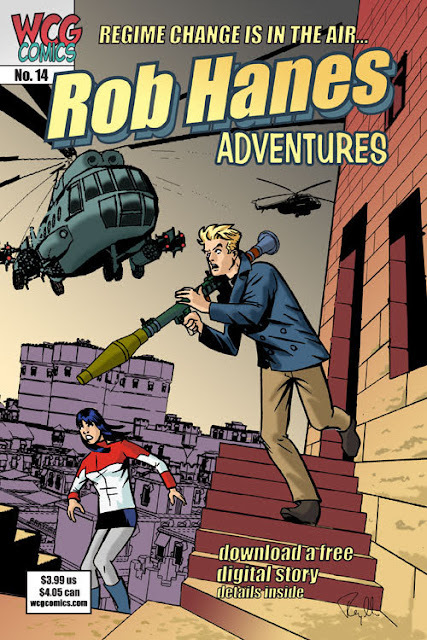 Below is a press release announcing that Rob Hanes Adventures #14 is now available for purchase online. Click here to see the official press release at the WCG Comics website. Following a profile at Wired magazine's wired.com and being mentioned on an episode of Publishers Weekly's "More to Come" podcast during coverage of the 2013 San Diego Comic-Con, WCG Comics announced that issue 14 of its long-running flagship title, Rob Hanes Adventures, is now available at its website. The release follows its debut at the 2013 San Diego Comic-Con. In recent years, new issues of Rob Hanes Adventures have been traditionally released at the San Diego Comic-Con, followed by the availability of the issue at its website. The book is also solicited to retailers in advance of Comic-Con. In issue 14, globetrotting troubleshooter Rob Hanes travels to the (fictional) Middle East country of Koman at the request of the CIA to bodyguard an exiled princess in the hopes her presence can spark the overthrow of the country’s military dictator, General Amra. A long simmering romantic triangle involving Amra, the Princess, and the head of the insurgent coalition, however, complicates the looming threat of civil war. Koman has been a recurring part of the series since its beginning in the 1990s, so the story closes the chapter on a long-running story arc. Entitled “Regime Change,” the story continues the series’ “ripped from the headlines” approach and was influenced in part by the tumultuous changes overtaking the Middle East. As a special bonus, a digital copy of Adventure Strip Digest #1, the first issue of the series’ original 4-issue run before being re-launched as Rob Hanes Adventures, has been made available for download at the WCG Comics website. As noted above, Reynaldo was featured at the Wired.com website on July 18 as part of the magazine's Comic-Con coverage. 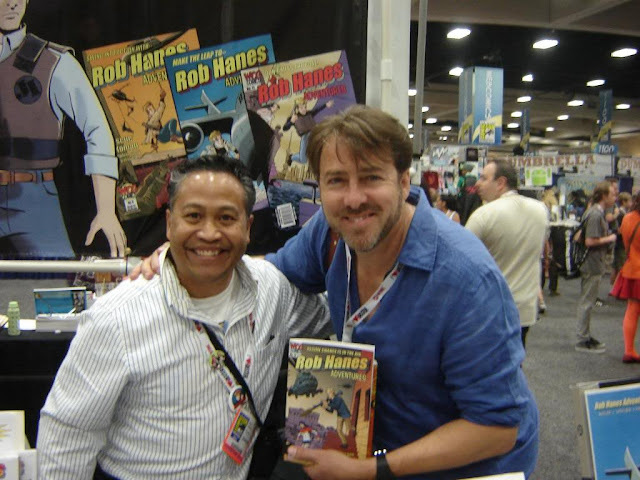 Reynaldo was approached for an interview prior to Comic-Con as part for a story the website was preparing of several small press publishers exhibiting at the show. The story is still available at the Wired.com website. In addition, comics writer and reviewer Tony Isabella recommended Rob Hanes Adventures during an interview conducted at Comic-Con, which aired in an episode of the Publishers Weekly "More to Come" podcast that posted during the convention on July 19. Inspired by classic adventure comic strips like Milton Caniff's Terry and the Pirates and Roy Crane's Buz Sawyer but set in the modern day — with dashes of light-hearted humor reminiscent of Will Eisner's Spirit — readers and fans alike have lauded Rob Hanes Adventures for recapturing the spirit of the classic adventure strip genre for modern day audiences. Though themes and characters recur in the series, every story of Rob Hanes Adventures is self-contained. The entire series remains in print, including 14 issues to date and two trade paperback collections of earlier work. For more information about the series, previews and to purchase back issues, visit the WCG Comics website at wcgcomics.com. 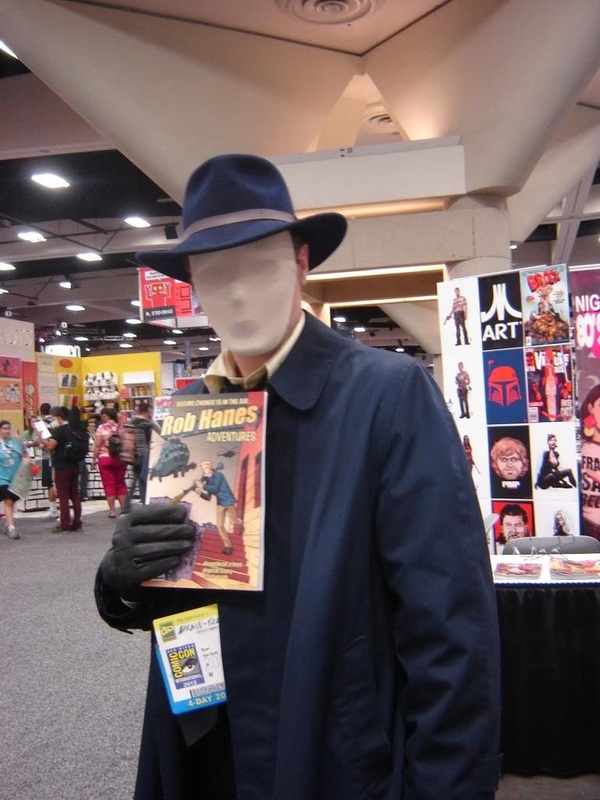 BELOW: Cover to Rob Hanes Adventures #14, which debuted at Comic-Con. 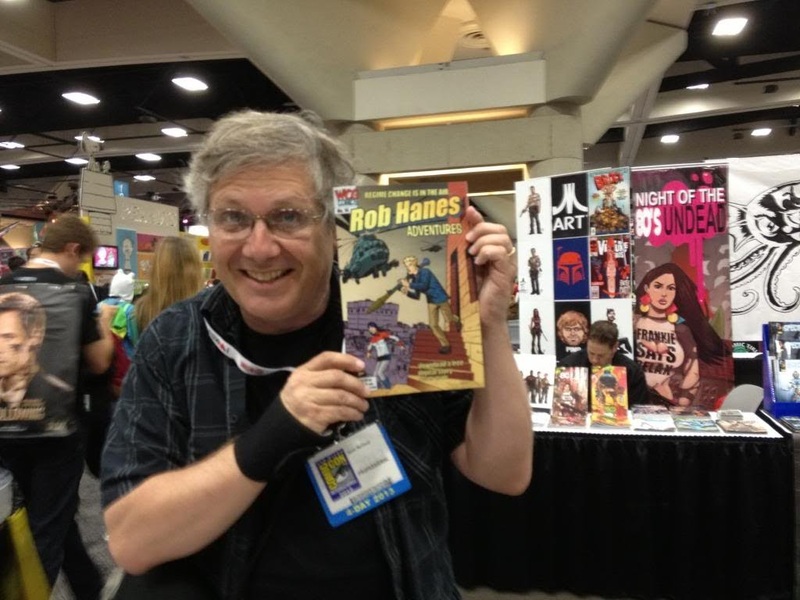 BELOW: Cartoonist Scott McCloud with the latest issue of Rob Hanes Adventures #14. 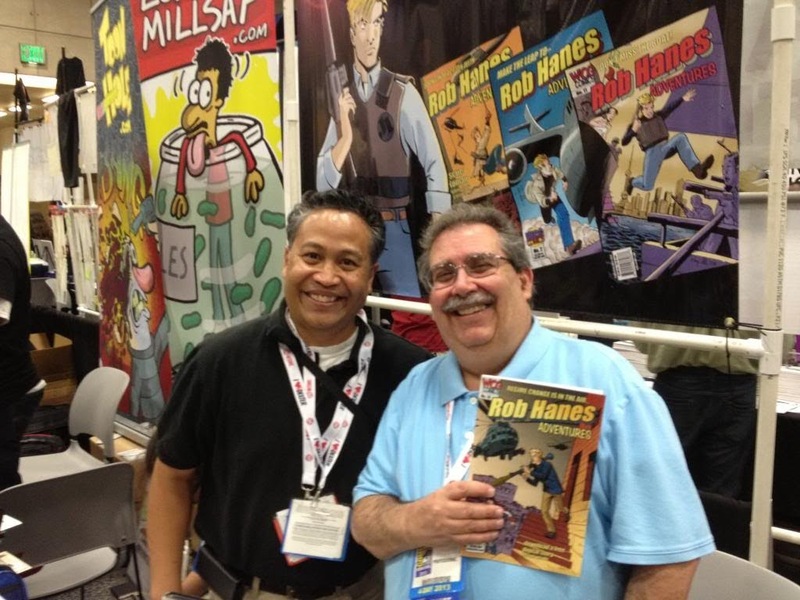 BELOW: WCG Publisher Randy Reynaldo and comics writer Tony Isabella.